To get an idea of the trends playing out in the medical marijuana industry these days, look to Maryland. The application process for MMJ business licenses in the state is a microcosm of the larger industry, reflecting its vast potential, the changing dynamics of the business community and the eagerness of entrepreneurs to get involved. Maryland is poised to become one of the largest medical cannabis markets east of Colorado. And it shows: The state recently received 1,046 applications for permits, including 811 for dispensaries – an unexpected avalanche that forced officials to delay the licensing process. A look at the companies behind the applications reveals the emergence of big enterprises with plenty of capital to push into new markets as well as small players scrambling to get involved in a red-hot industry. It also shows how companies are increasingly seeking multiple licenses – sometimes dozens – in states with ample opportunities and low initial application barriers. “You have more companies and exponentially more people interested in getting into the industry than before,” said Avis Bulbulyan, CEO of the Bulbulyan Consulting Group, a cannabis advisory firm in Los Angeles. Most companies that threw their hats in the ring for business licenses in Maryland submitted more than one application. In fact, just 78 businesses applied for one license, while 145 companies – including 10 from out of state – submitted more than one application. On the same token, many companies applied for more than one type of license. For example, 73 companies submitted applications for licenses in all three categories (dispensary, cultivation and processing), while 18 submitted applications for the dispensary category and one of the other two categories. Evolution Wellness led the way with 42 applications (41 for dispensary licenses, one for a processor license), followed by CannaPharmacy Maryland with 36 applications (34 for dispensary licenses, and one each for grower and processor licenses), and Peak ReLeaf with 32 applications (30 for dispensary licenses, and one each for grower and processor licenses). Another nine companies submitted more than 20 applications, while 15 companies submitted between 10 and 19 applications. The numbers are even more revealing when considering only dispensary applications. Of the 811 dispensary applications, 794 (97.9%) were filed by companies that submitted more than one application. That may seem odd, given that a company can receive only one license in each of the three categories. You can’t operate, say, five dispensaries and three grows. So most companies appear to think that their best chance revolves around strength in numbers. “I think a lot of people are hedging their bets” by applying for many licenses instead of just one, said Kayvan Khalatbari, a founding partner at Denver Relief Consulting. 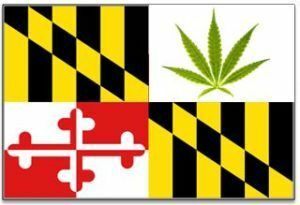 Maryland is such an attractive market that many companies submitted more than one application – even though they can only win one license for each type of busienss (dispensary, grower and processor. Maryland’s low application fee of $1,000 helps explain why companies submitted numerous bids for licenses, observers said. “The low fees allowed for more applications than (the state) expected,” said Brian Fox, a St. Louis resident who opened Illinois’ first operating dispensary, Harbory. Fox is now involved with Cannavations MD, a Maryland-based business that applied for four dispensary licenses in Maryland. For companies that have tens of millions of dollars to invest, spending a few thousand dollars – or even tens of thousands of dollars – on application fees is not a big deal, especially if they can recoup the investment many times over by winning just one license. Khalatbari likened these trends to what happened in Colorado a couple of years ago, when the state’s marijuana industry went through a period of intense consolidation, and when many entrepreneurs emerged with ambitions that were more than local. 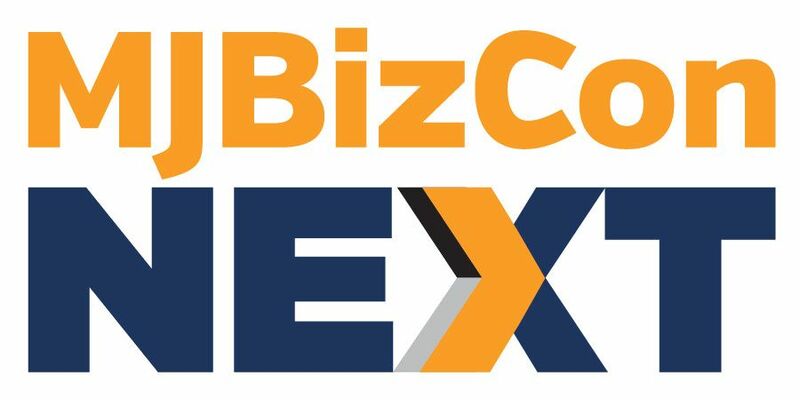 “We had a ton of consolidation over the last two years where you saw these big brands find some success and say ‘OK, we have a real opportunity here, let’s get as much as we can.’ And that’s happening on the national level now,” Khalatbari said. Indeed, while local applicants dominated Maryland’s application process, out-of-state applicants also left their mark. Of the 811 dispensary applicants, 98 (12%) are listed as being from out of state, as are 7 (5%) of the 146 grower license applicants and 7 (6%) of the 124 processor license applicants. Many companies that were listed as being from Maryland were owned by out-of-state individuals or entities that had incorporated in Maryland or found local partners. For example, Columbia Care MD, which is led by Goldman Sachs veteran Nicholas Vita, submitted nine dispensary applications and one application each for a grower and processor license, has won licenses in Arizona, Nevada, New York, Illinois, and Washington DC. Of the 98 out-of-state dispensary applications, 70 were submitted by just three companies: Maryland Compassionate Care & Wellness, and PharmaCann, both of Illinois, submitted 27 and 23 applications respectively, while Harvest of Maryland, from Arizona, submitted 20. For example, PharmaCann was the number one scorer in New York, while many Illinois applicant winners partnered with nurseries who applied for licenses in Florida, Khalatbari said. While hedging bets sounds like a prudent strategy, Khalatbari warned that it could morph into unsustainable growth. As a result, some companies trying to go national will end up getting sold or closing. “If this expansion is anything like Colorado, we’ll find that a lot of people grew too quickly, and that ruins them,” Khalatbari said. In addition to low fees, an absence of residency and other requirements made it possible for small, less-capitalized companies in other states to compete for licenses in Maryland. While many cannabis companies are trying to make the jump from local to national players, some observers believe the national stage may not be the last stop, as marijuana legalization proceeds in Canada, Uruguay and other international markets. “I have no doubt once we see the national brands settle in, and that’s just around the corner, we’re going to start seeing that on an international level,” Khalatbari said. Yet no mention of the patients who have been waiting almost 3 years. I know this is a business site, but come on. Wasn’t the application fee $240,000? That is low? Australia is also an interesting opportunity. What continues to be amazing is that states are embracing a industry that has NO QUALITY/SAFETY STANDARDS and compromising public health and safety in the process as they generate tax revenues! Let me guess, you work for GW pharmaceutics.